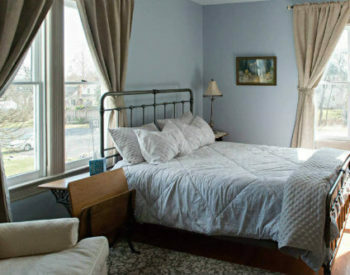 Located in historic Laurel, MD, Laurel Manor House Bed and Breakfast provides a welcome alternative to hotel accommodations in Central Maryland. 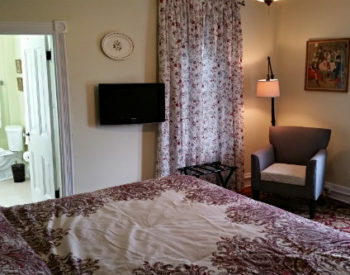 Our B&B is convenient to Columbia, College Park, Annapolis, and Fort Meade, and because Laurel is situated halfway between Washington DC and Baltimore, it is also a lovely oasis for last-minute stays and weekend getaways. The three guest rooms were named for three of our favorite trees: Dogwood, Sycamore, and Willow (though we might also have named them Redbud, Crape Myrtle, or Oak, which are among the many trees and shrubs we’ve planted on the property). 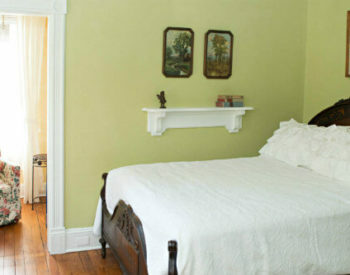 As most of the walls in this old Victorian home are constructed with their original plaster—the ultimate sound barrier—and none of the guest rooms shares a wall with any other guest room, you are assured of comfortable seclusion and privacy. Check-in is between 3:00 and 6:00 p.m. If you would like to check in earlier or later, please let us know in advance and we will do our best to accommodate you. A minimum two-night stay is required on holiday weekends. We require a 50% deposit to guarantee your reservation, and seven days’ advance notice of a cancellation for a full refund. Room rates are for one or two guests per room and do not include state and local taxes. The Sycamore Room can accommodate a third person for an additional $30 charge. Quiet hours are 11 p.m. until 8 a.m.
Breakfast will be served at 8:30 a.m. in the dining room. 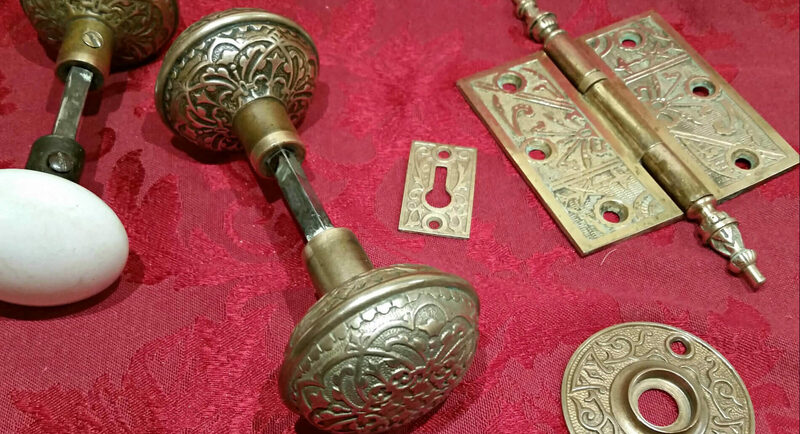 Within reason we will try to flexibly accommodate your schedule. Please inform us in advance of any dietary restrictions or food allergies. With the exception of service animals, we do not allow pets. All guest rooms are on the second floor. Due to the historic nature of the house, all guest rooms are accessible only by staircase.